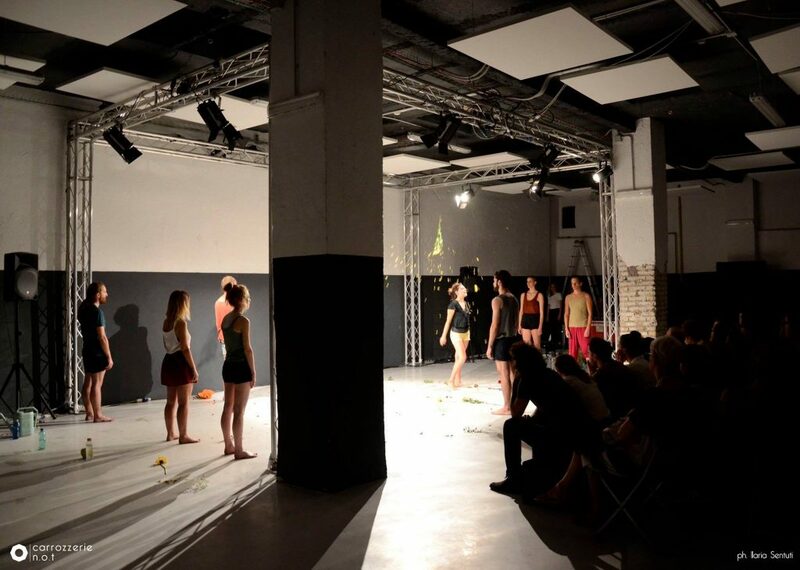 Carrozzerie_n.o.t​ is an ex-car repair workshop in Rome that has been transformed into an independent cultural and performing arts centre focusing on theatre and dance. 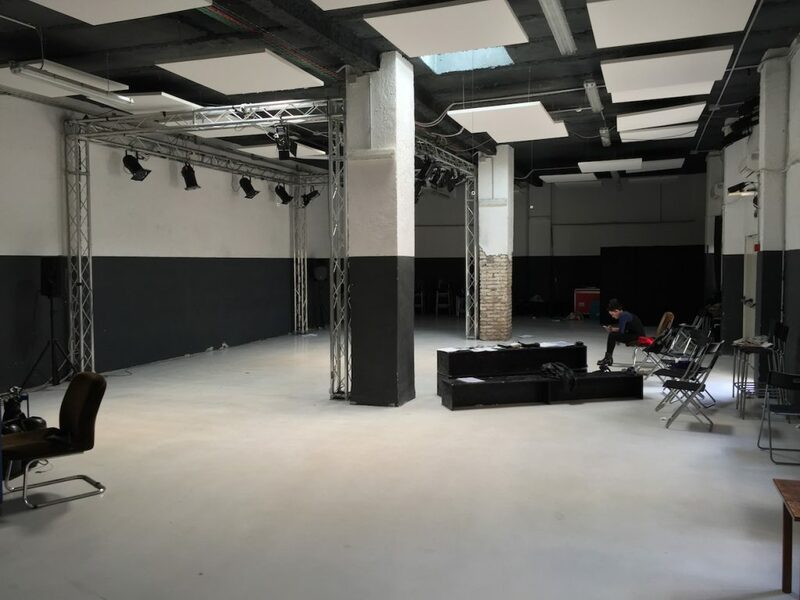 The space accommodates both rehearsals and shows, and organises workshops conceived for teenagers and non-professionals, as well as for professional actors. Carrozzeria means garage, the former function of this space, and n.o.t. stands for Nostra Officina Teatrale (Our theatrical Workspace). It is a historical reference to when Mazzini addressed the recently unified Italy as being ‘ours’. In Carrozzerie n.o.t. we want to realise something that demonstrates that theatre and the arts are not forbidden to the wider public. The gap between the intellectuals and artists (the ones attending shows and going to exhibitions) and the “normal people,” who do other things, results in them not being stimulated by, or interested in the arts. But theatre is many things, it is not just the final product. The show is also the path to get to it, this can also give a lot to people who are not actors or professionals. We support and take care of emerging young performers and authors, with a special attention on what is coming out of this new generation of artists. We wanted to take care of this field, which is currently not recognised by official culture organisations, like the Ministry of Culture. What is the theatre’s business model? The point is that here in Italy, and particularly in Rome, we have two main ways of running cultural spaces, which are based either on public subsidies or on rent-free squatted spaces. Our point was to demonstrate that culture needs public support for some activities, but it does not need to be based on public subsidies or on illegality. So we tried to realise a project where the economical aspects were taken into consideration just as much as the cultural ones. Changing the perspective on the way theatres are run also impacts the way in which cultural spaces should be used. We do not make use of any public grants because this would impact much of our programming and cultural proposals: subsidies would impose us to have a quota of under 35 year olds in dance productions, or a certain amount of classical theatrical projects… We would not be free in developing the relationship between artists and the public. The economic sustainability of the space is granted by the daily activities that we have, like the workshops for non-professionals. They pay a monthly fee for participating in the activities, and this covers the basic expenses of the space, the bills, the rent, and the fee for teachers and so on. We then can take a risk with the shows, with the cultural proposal, by having a revenue from these or not, depending on the attendance to the performances. Currently our space has a capacity of 99 people, but it could reach 150 if we made some renovations. Having this stable base means that when we make sufficient revenue, we can also offer for free the space to artists for rehearsals. For example, we are collecting funds to support a grant for emerging artists that will help cover their production costs. Being a cultural association, this is part of our cultural offer. So the people participating in our work contribute by helping Carrozzerie work and stay open, they are our base. Our public support does not come from the administration but from the actual public. Who constitutes the community of Carrozzerie n.o.t.? Theatre program with photo of neighbour girl. Photo (c) Carrozzerie n.o.t. We normally see theatres opening at 18:00 and closing at 23:00, they run shows and only address people who are supposed to come and attend them. But they do not take care about having a real relationship with people outside, students, old women, and “normal people,” the people who live in the building just in front of the theatre. And this is an issue because normally, when you try to open a show or to present an artist, you do not have anyone to speak to, except for the professionals of the cultural sector. This is why we decided to open the space from 10:00 am to 11:00 pm every day, and to divide the week into two different sections: one addressing professionals and the other targeting the wider public, made of non-professionals and especially teenagers. We spend a lot of time talking with people, each day we talk to everybody, really everybody: from the artists to old women in the neighbourhood, who walk in front of the theatre. I love this method of story-telling! You have to consider that one of the main opinion leaders in the neighbourhood is Fernanda, she is an old woman, 91 years old, who lives in the building in front, on the 6th floor. She comes to see everything we do here, and after each show, we conduct an interview with Fernanda. 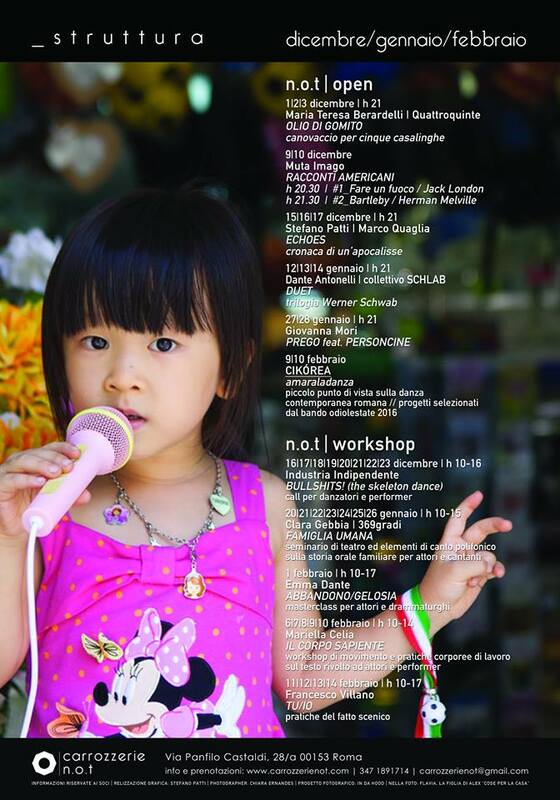 Community, Culture, Rome , community, Funding the Cooperative City, italiano, neighbourhood, social inclusion, theatre, video.